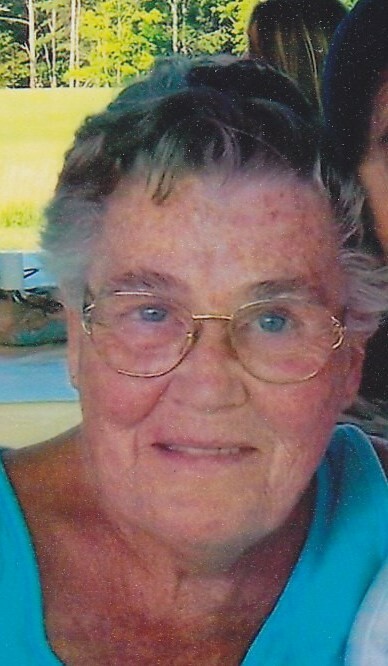 Patricia Beatrice Lindquist, 86 of Lyman, Maine, passed away Wednesday, October 17, 2018 at SMMC after complications with surgery. Patty was born February 27, 1932 in South Paris, Maine. Daughter of Henry Kinne and Lillian Kinne. She graduated from Kennebunk High School and at the age of 25 she married her husband, Irving Lindquist of West Enfield, Maine. They raised their family of five children. Patty was a stay-at-home mom and homemaker. Patty loved the beach and never passed up getting an ice cream on the way home. She also loved lobster and laying in the sun. Patty was predeceased by her husband, Irving Lindquist, her sister Barbara Kinne, her daughter Lucinda Collins, and her son Raymond Lindquist. She is survived by her children: Keith Lindquist and his wife Doreen, Daphane Paul and her husband Ron, Stephanie Bineau and her significant other Bill Barry, and many grandchildren and great grandchildren. Visiting hours will be held Thursday October 25th from 2-4pm and 6-8pm at Hope Memorial Chapel 480 Elm St. Biddeford, Maine.